PALM BAY, Florida - A man was shot at a gun range just after 10 a.m. on Monday in Palm Bay, Florida. According to the Palm Bay Police Department, the man was shot at the Port Malabar Gun Range after his rifle malfunctioned. The exact cause of how and why the man was shot still remains under investigation. 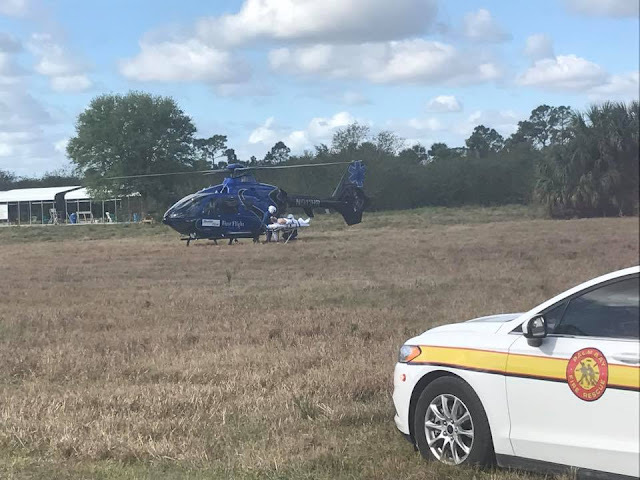 Palm Bay Police and Fire Departments, along with Brevard County Fire Rescue crews, responded to the scene to render aid to the gunshot victim. The man then was airlifted by First Flight medical helicopter to Holmes Regional Medical Center in Melbourne, Florida. The man is in stable condition.